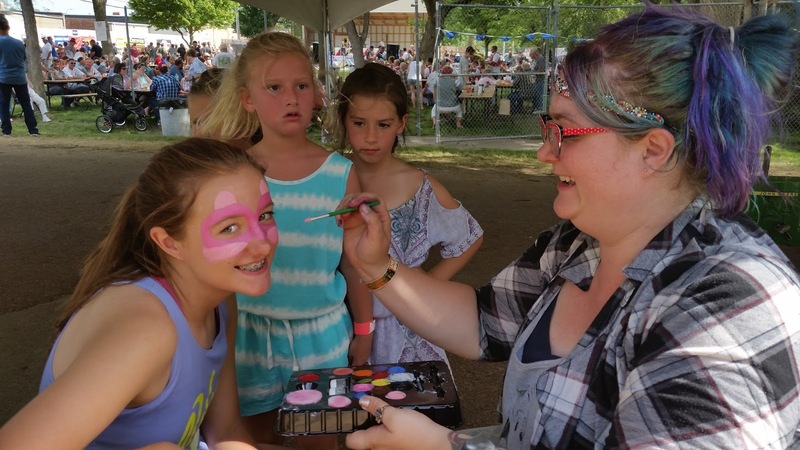 Village of Exeter: Milligan's June Jubilee another success! If you don’t like great country music, a good dose of polka served with kolache’s, then you weren’t in Milligan, Neb. for their 30th June Jubilee this weekend. The weekend started with country music band Blackhawk who had several big hits in the early 90’s before Phil Vassar, who topped the charts with his number one country hit “Just Another Day in Paradise,” took the stage. Saturday’s events included the annual Rooster Run, volleyball and softball tournaments. The highlights of the afternoon included the annual pork rib and chicken wing cook off in the beer garden along with the car show downtown. Pink Kadillac played great dance tunes from the fifties through today in the beer garden Saturday night. With the hot temperatures the crowd was ready to cool down in the beer garden and listen to the Milligan Czech Brass Band before the Czechlanders took the stage. The weekend concluded with the annual auction and drawing for a new pick up. 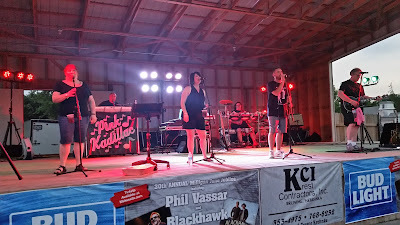 Phil Vassar was the headliner at Milligan’s 30th June Jubilee on Friday, June 9. What a beautiful day for a car show and my there were some really nice cars, there. Roger Becker and team made a good showing in the BBQ ribs and wings contest in Milligan. Three generations of Capek's on one float - Arnie, Roger and Braden. Landri found some candy her sisters and friends missed. The kids always enjoy testing their skills at the pedal tractor pull. Ensley Stahl was giving it her full effort on Sunday afternoon. Kolache eating contest for the under 8 crowd! Lilly Kassik put a giant kolache in her little mouth to win the kolache eating contest for the 8 and under age group. The stage crowd was pretty thrilled with Tom Pribyl was the champion kolache eater for 2017. Lots of fun getting your face painted at June Jubilee!